This THP is about 10 miles SW of Dunsmuir, CA and I-5, and about 5 miles SW of Castle Craigs State Park at an elevation of 4,400 to 5,700 feet. Sierra Pacific Industries is planning a clearcut tractor based logging operation in Douglas fir, ponderosa pine, sugar pine, incense cedar and western white pine forests. 17 road drainage sites are planned for work including rocking, dip construction, ditch cleaning and repair/replacement of culverts. There is an 1984 report of a Cascade Frog less than 1.2 miles from unit 19A in section 17, and a 1989 report of Pacific tailed frogs .3 miles from unit 19A in section 18. California pitcher plant was found inside a class I (year round) watercourse in unit 19C, and California lady’s slipper was found along the East Fork Trinity River near the bottom of unit 19B. There is 1 spotted owl nesting territory within 1.5 miles of the THP area. 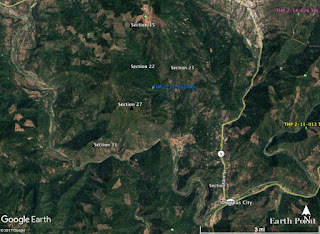 Roseburg Resources Company to clearcut log east of Mt. Shasta and McCloud, CA. This THP is east of Mt Shasta (about 20 miles east of McCloud, CA) near the townsite of Pondosa, CA and Highway 89 at an elevation of 4,200 to 4,800 feet. 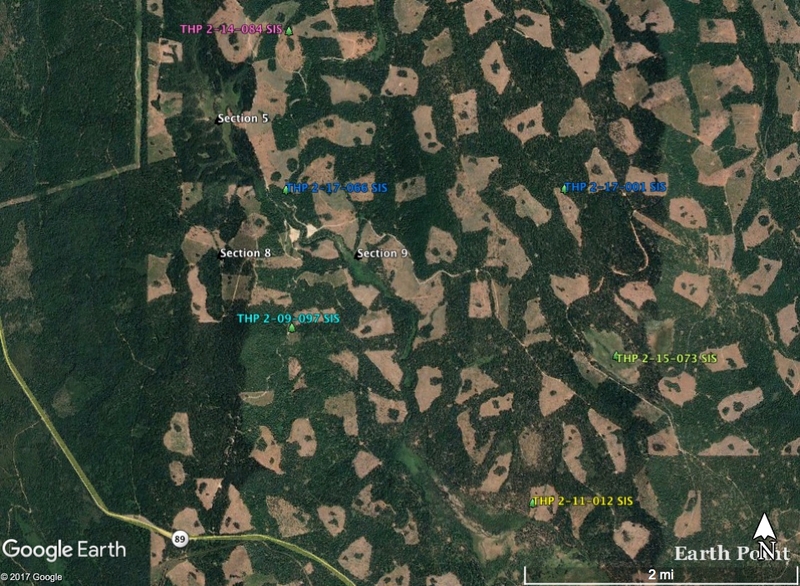 Roseburg Resources Company is planning a clearcut tractor and cable logging operation in white fir, Douglas fir, ponderosa pine, sugar pine, and incense cedar forests. There is an unstable area adjacent to unit 802C. Roseburg Resources Company is planning to use ground based equipment in areas designated for cable logging, use and construct crossings, landings and roads during the winter period, and use an existing landing inside a class III (intermittent) watercourse area. 14 road drainage sites are planned for work including rocking, dip construction, ditch cleaning and repair/replacement of culverts. Three fisher sightings were reported near the THP area (unspecified), and a northern goshawk nest was reported within 1.3 miles of the THP area. In 2010, a Cascade frog was reported in Bear Creek at Big Bear Flat approximately 2 miles downstream from the THP area. Klamath fawn lily was found at 5 locations within or adjacent to units 501, 802, 807 and 902. There are 2 spotted owl nesting territories within 1.3 miles of the THP area. 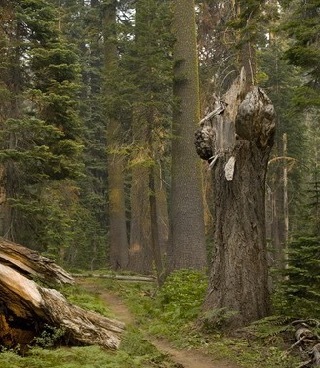 Sierra Pacific Industries to clearcut log trees up to 50” dbh by the Trinity Alps Wilderness. This THP is next to the Trinity Alps Wilderness Area boundary (units 1603, 1604 and 1720 are adjacent) 5.5 miles north of Coffee Creek, CA and Trinity Lake and about 30 miles NE of Weaverville, CA. Sierra Pacific Industries is planning a mostly clearcut tractor and cable logging operation in Douglas fir, ponderosa pine, sugar pine, incense cedar and white fir forests at an elevation of 3,000 to 5,000 feet. The THP area is close to Horse Flat Campground and Eagle Creek Campground, and also close to the Eagle Creek Benches trailhead in section 7. There is an unstable area near unit 1730. SPI is planning to use ground based equipment on existing skid trails on slopes over 50% with a high erosion hazard in unit 1603, and on slopes between 50% and 65% for fire line construction. They also are planning to use ground based equipment on existing skid trails in areas designated for cable logging in units 1716, 1720 and 1730, and use 6 existing landings inside or adjacent to class II (mid sized) watercourse areas. There are 8 sensitive plant species that were found in the THP area including; English Peak Greenbriar in unit 1771, Congdon’s buckwheat in unit 1605, Mountain lady’s slipper in unit 1716, Shasta arnica in units 1605, 1730 and 1763, Scott Mountain fawn lily in units 1716 and 1771, Klamath manzanita in units 1603, 1604 and 1720, rattlesnake fern along the NW edge of unit 1716, and thread leaf beard tongue in unit 1605. There are 3 spotted owl nesting territories within 1.3 miles of the THP area. Eureka, Calif.—The Environmental Protection Information Center (EPIC) has submitted a voter initiative to Humboldt County to ban the destructive forestry practice known as “clearcutting” within Humboldt County and implement well recognized principles of sustainable forestry. 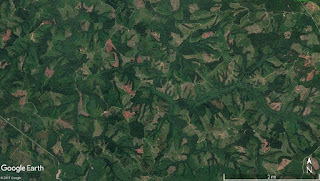 Clearcutting and other even-aged management involves the removal of all or nearly of a forest stand in a single harvest. This extreme forest disturbance harms water quality and wildlife habitat, and exacerbates climate change. Volunteers will be collecting signatures on the ordinance with the intention of making it on the general election ballot in November 2018. Timber can be harvested using less destructive methods, such as selection logging, which removes only a portion of trees while preserving the forest. This ordinance would require these types of methods to be employed. The ordinance would also require that timber companies retain large, old trees and other wildlife trees that are disproportionately important for species that depend on older forests. 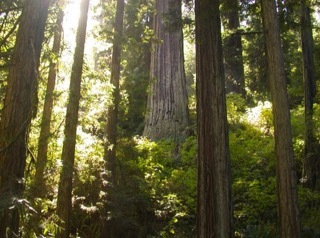 Humboldt County would join Marin County in banning clearcutting, and would join a number of other local governments, including Berkeley, Brisbane, Daly City, Davis, Menlo Park, Monte Sereno, San Francisco, Saratoga, and Sunnyvale, in expressing their opposition to the practice. Local regulation of timber production is preempted by state law; however, the California Forest Practice Act provides that counties can recommend rules to the Board of Forestry and Fire Protection. These rules must be adopted if the rules are consistent with the Forest Practice Act and necessary to protect the needs of Humboldt County. Successful timber companies do not need to employ clearcutting to provide good paying jobs. In the redwood region, Humboldt Redwood Company and Mendocino Redwood Company both do not utilize clearcutting in their forest management. 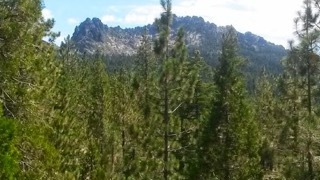 Across the state, other companies, such as Collins Pine, based in Plumas County, have likewise demonstrated that clearcutting isn’t a necessary tool to be successful. The Environmental Protection Information Center (EPIC) advocates for science- based protection and restoration of Northwest California’s forests, using an integrated, science-based approach, combining public education, citizen advocacy, and strategic litigation. 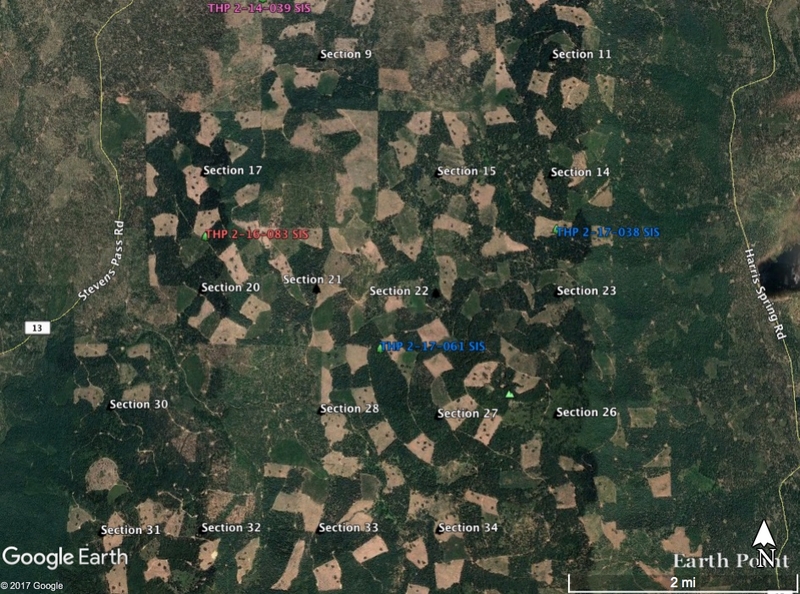 Sierra Pacific Industries to clearcut log NE of Mc Cloud, CA. This THP is about 14 miles NE of Mc Cloud, CA and about 8 miles north of Highway 89 at an elevation of 4,500 to 6,200 feet. Sierra Pacific Industries is planning a clearcut tractor based logging operation in ponderosa pine, true fir, sugar pine, incense cedar, lodge pole pine, and Douglas fir forests. The THP area drains towards the Mc Cloud River which contains the uncommon redband trout which is listed as a sensitive species. SPI is planning to construct roads and landings during the winter period. There are northern goshawk nests in sections 9, 11, 21 and 25. Hot rock daisy was found on a landing in unit 15E in section 15, and there are 4 spotted owl nesting territories within 1.3 miles of the THP area. Sierra Pacific Industries to clearcut log trees up to 30” dbh NE of Weaverville, CA. This THP is about 4 miles NE of Weaverville, CA and Highway 299, and about 4 miles NW of Lewiston, CA at an elevation of 1,900 to 3,500 feet. Sierra Pacific Industries is planning a mostly clearcut tractor and cable logging operation on steep and unstable slopes in Douglas fir, ponderosa pine, white fir, sugar pine, and incense cedar forests. The THP area flows into the Trinity River which is listed as an impaired watershed for sediment and siltation. There are loose granitic soils throughout the THP area, and dormant landslide terrain sites (steep headwall swales/debris slides) in units 4650, 4670, 4671, a cutbank failure off a seasonal road in unit 4814, and an unstable area at the head of a class II (mid sized) watercourse in unit 4687. SPI is planning to use ground based equipment (feller bunchers) in areas designated for cable logging, and use ground based equipment on existing skid trails with slopes over 50% grade that have a high erosion hazard. They also are planning to use an existing tractor road within a class III (intermittent) watercourse in unit 4809, and use an existing tractor road within a class II (mid sized) watercourse in unit 4710. Ten road drainage sites are planned for work including rocking, dip construction, ditch cleaning and culvert repair/replacement. Slender false lupine was found within units 4655, 4676, 4694, 4702, 4769, 4796, 4804, 4814, 5114 and 5120, Glaucous tauscia was found within units 4676, 4687, 4694, 4702, 4705 and 5120, and Klamath mountain catchfly was found adjacent to unit 4808. There are 6 spotted owl nesting territories within 1.3 miles of the THP area. Humboldt Redwood Company to log trees up to 65” dbh in marbled murrelet stands SW of Scotia, CA. This THP is a couple of miles SW of Scotia, CA and Highway 101 and about 3 miles SW of Rio Dell, CA at an elevation of 200 to 2,400 feet. Humboldt Redwood Company is planning a tractor and cable logging operation on steep and unstable slopes in redwood, Douglas fir and grand fir forests (trees up to 60” dbh (units 1-8), trees up to 65” dbh (units 9 and 10), trees up to 60” dbh (units 11 and 12), and trees up to 60” dbh (unit 14)). Logging is proposed inside large tree marbled murrelet stands 76B, 136B, 118B, 333C, 359C, 466D, 234B, 134B, 122B, 62B, 115B, 119B and 65B within units 10, 11, 12 and 14. The THP area flows into the Eel River which is listed as an impaired watershed for sediment/siltation and temperature. There are 111 landslide terrain sites in the THP area including multiple debris slides, earth flows, disrupted ground, steep inner gorges, debris flows, rock slides, and numerous road related bank sloughing, fill slope and cut bank failures. Humboldt Redwood Company is planning to use ground based equipment on existing skid trails on slopes over 65% grade, and use ground based equipment on existing skid trails in areas designated for cable logging. They also are proposing to re-construct several portions of an existing road system across an unstable area, and construct a seasonal road across an unstable area between units 4 and 5. 115 road drainage sites are planned for work including rocking, dip construction, ditch cleaning, culvert repair/replacement and restoration of washed out crossings. A foothill yellow legged frog was reported inside section 3, Pacific gilia was found near the SE corner of unit 14, Maple leaved checker bloom was found on a roadside near unit 9, Siskiyou checker bloom was found along Monument Road adjacent to the THP area, and Howell’s montia was found on a road system adjacent to units 13 and 14. There are 14 spotted owl nesting territories within 1.3 miles of the THP area. 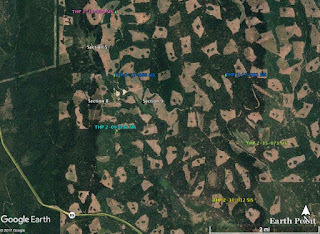 Green Diamond Resource Company to clearcut log east of Smith River, CA. This THP is a few miles east of Smith River, CA at an elevation of 200 to 1,300 feet. Green Diamond Resource Company is planning a mostly clearcut tractor and cable logging operation on steep and unstable slopes in redwood, Douglas fir and western hemlock forests. There are shallow rapid landslides in units A, E, F, G and H, and a deep seated landslide in unit B. Green Diamond Resource Company is planning to use temporary roads, landings and crossings during the winter period, and construct 150 feet of temporary road on slopes exceeding 20% grade in unit H. 23 road drainage sites are planned for work including rocking, dip construction, ditch cleaning, and culvert repair/replacement. There is an historic (1974) report of a bald eagle nest tree greater than .5 miles west of the THP area. In 2008, Del Norte Salamanders were reported in or near units B, C, D, E, F and G, and a coastal tailed frog was spotted immediately adjacent to unit D in the THP area. 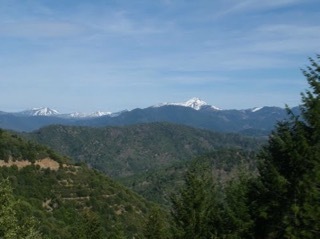 There are 4 spotted owl nesting territories within 1.3 miles of the THP area including spotted owl nesting territories within .25 miles of units C and D, and within .5 miles of units B and E.
Sierra Pacific Industries to clearcut log on steep and unstable slopes SE of Weaverville, CA. This THP is 5 miles east of Douglas City, CA, 5.8 miles SE of Weaverville, CA and a few miles south of Highway 299 at an elevation of 1,880 to 4,800 feet. Sierra Pacific Industries is planning a mostly clearcut tractor and cable logging operation on steep and unstable slopes in Douglas fir, ponderosa pine, sugar pine and white fir forests. The THP area flows into the Trinity River which is listed as an impaired watershed for sediment and siltation. 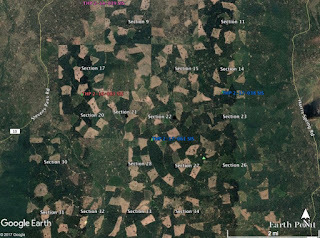 There are 13 landslide terrain sites including unstable areas in or around units 4605, 415, 3603, 412, 4592, 603, 405, 4921, 4901 and 4934. Sierra Pacific Industries is planning to use tractors on slopes over 50% grade with a high erosion hazard rating in units 602 and 603, and use ground based equipment on steep slopes over 65% grade in units 415 and 4545. They also are planning to use ground based equipment in areas designated for cable logging for fire line construction, and on slopes up to 65% grade with a moderate erosion hazard rating. Ground based equipment is proposed for use on skid trails in unstable areas in units 4899 and 4901, and on 3 existing landings and associated skid trails within class I (year round) and class II (mid sized) watercourses, and on 4 existing skid trails within class II watercourse areas. 47 road drainage sites are planned for work including rocking, dip construction, ditch cleaning and culvert repair/replacement. Three populations of clustered lady’s slippers were found outside of units 4545 and 4605, blushing wild buckwheat was found near units 4930 and 4932, and Congdon’s buckwheat was found within units 4899, 4932, 403, 4579, 4592, 4599 and 4605. There are 3 spotted owl nesting territories within 1.3 miles of the THP area. 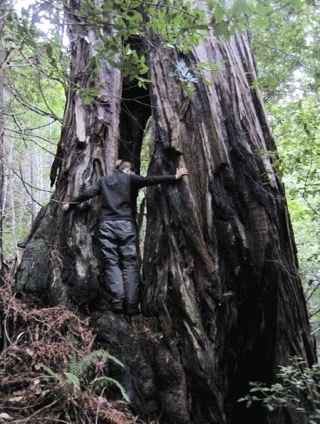 Humboldt Redwood Company to helicopter log near large tree marbled murrelet stand 638D east of Scotia, CA. This THP is about 3 miles SE of Rio Dell, CA and Highway 101 and about 3 miles east of Scotia, CA at an elevation of 400 to 1,400 feet. 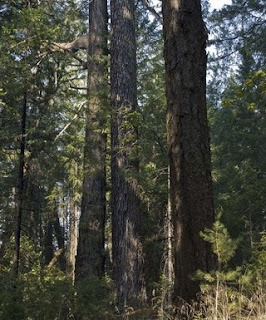 Humboldt Redwood Company is planning a tractor, cable and helicopter logging (large tree marbled murrelet stand 638D exists between units 3 and 4) operation in redwood, Douglas fir and grand fir forests. The THP area flows into the Van Duzen River which is listed as an impaired watershed for sediment and temperature. There are 8 road related failure sites, and numerous landslide terrain sites including fill failures, debris slides, debris slides, earth flows and disrupted ground. 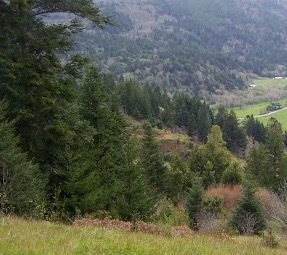 Humboldt Redwood Company is planning to use ground based equipment on existing skid trails in areas designated for cable logging, and use ground based equipment in unstable areas in unit 4, and construct a segment of the L58.77 road across an unstable area. 63 road drainage sites are planned for work including rocking, dip construction, ditch cleaning, and culvert repair/replacement. There is a peregrine falcon nest site within .25 miles of unit 5, and over a dozen spotted owl nesting territories within 1.3 miles of the THP area. This THP is SW of Weaverville, CA and adjacent to Douglas City, CA and Highway 3 at an elevation of 1,800 to 4,000 feet. Sierra Pacific Industries is planning a clearcut tractor and cable logging operation on steep and unstable slopes in white fir, ponderosa pine, sugar pine and Douglas fir forests. The THP area flows into the Trinity River which is listed as an impaired watershed for sediment and siltation. There are unstable areas associated with units 3302, 3330 and 2240, and a fill failure has caused a road bed to drop down 5 feet in section 15. SPI is planning to use ground based equipment on slopes up to 60% grade in areas designated for cable logging to construct fire lines, and construct and use roads, landings and crossings during the winter period. They also are planning to construct segments of steep roads over 15% grade and/or pitches of steep roads over 20% grade in section 27. Eight road drainage sites are planned for work including rocking, dip construction, ditch cleaning, and culvert repair/replacement. Dudley’s rush was found in section 33. There are 2 spotted owl nesting territories within 1.3 miles of the THP area.